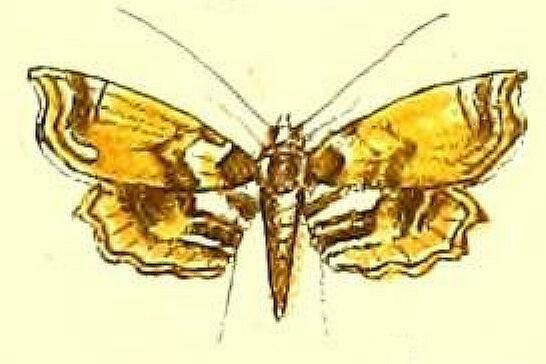 The adult moths of this species have yellow wings with various white and dark brown markings. The wingspan is about 1.2 cms. 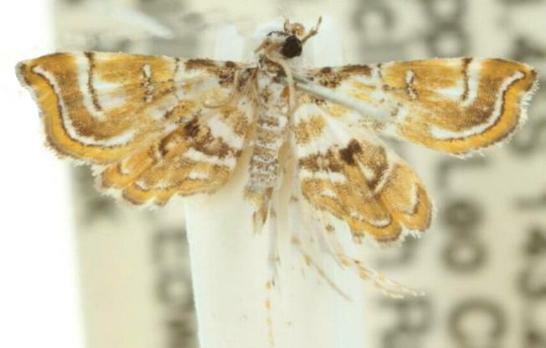 image courtesy of Biodiversity Heritage Library, Smithsonian Libraries. Part 9 (1893), p. 178, and also Plate 174, fig. 20.